A gleaming Rolls-Royce pulls through the gates of the magnificent Bel Air estate known as The Cottage. The man behind the wheel is Hollywood's ageless wonder, Cooper Winslow. A star of the silver screen for decades, a man whose allure to women is legendary, Coop exudes old-fashioned glamour. But Coop is broke. And with no major roles coming his way, he is faced with the prospect of selling his beloved home, or at least renting out parts of it. His new tenants, Mark Friedman and Jimmy O'Connor, are coping with their own problems. Mark's wife just walked out, and Jimmy recently lost his own wife to illness. And when Mark's teenage children move in, The Cottage is transformed, with music blasting and teenagers on skateboards crashing into vintage cars. But amid the chaos, three men are becoming unlikely friends...and each finds himself changing, Coop most of all. Because beneath the dazzle and the bravado is a man trying to keep control of his carefully ordered world. 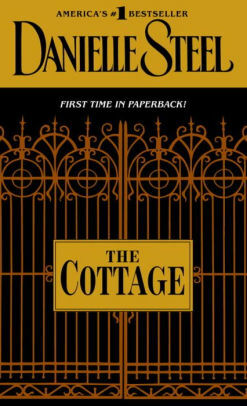 A scandal threatens Coop's romance with a wealthy debutante...A devastating accident almost claims the life of one of the housemates...The Cottage welcomes a new houseguest who will change Coop's life in unexpected ways. Among the people who now share his life, Coop Winslow may find a chance to build a happiness he could never have dreamed of, and to become the kind of human being he has never been. Against a glittering backdrop, Danielle Steel tells a deeper story, of the choices and unexpected turns of fate that can shape characters and lives.